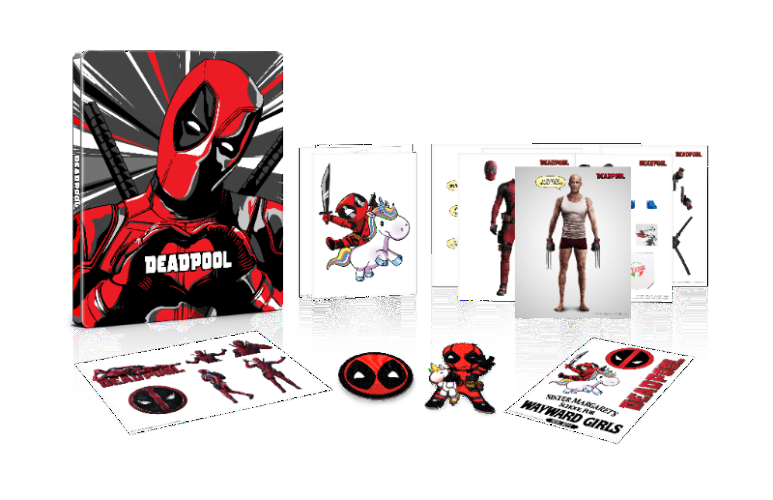 The Deadpool Two Year Anniversary Edition Blu-ray will be available April 24 from Twentieth Century Fox Home Entertainment, featuring all-new collectible packaging and an assortment of limited edition party favors that includes stickers, car decals, temporary tattoos and a set of paper dolls that will allow fans to bring even their most depraved Wade Wilson fantasies to life. May 15 at Walmart, a collection of fan-favorite films will get the DP treatment with all-new Blu-ray cover art featuring Mr. Pool himself. Deadpool has photobombed the cover art of EDWARD SCISSORHANDS, LOGAN, WAR FOR THE PLANET OF THE APES, PREDATOR and REVENGE OF THE NERDS with more titles available in store and on Walmart.com for a limited time while supplies last. Select Blu-ray titles at both Walmart and Best Buy will also include Fandango Movie Money, good toward the purchase of tickets to see DEADPOOL 2, in theaters May 18.